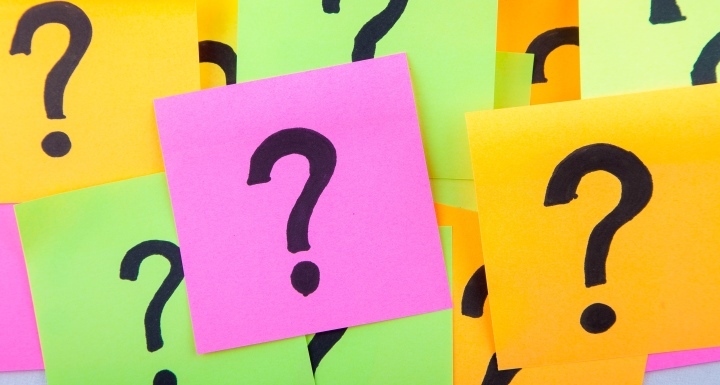 Will We See Another Round of Legislative Patent Reform in 2015? If so, Trolls Beware! Another round of proposed patent reform aimed at curbing the activities of non-practicing entities ("NPEs"- aka "patent trolls") is teed up in Congress for 2015. Will this be the year Congress passes a bill aimed squarely at combating patent trolls? With the House and Senate both introducing bills with bi-partisan support and with support from the White House, it just may be. Five patent reform bills have already been introduced this session. Two in particular are worth special attention: The Innovation Act, introduced in February, and the Protecting American Talent and Entrepreneurship Act (the "PATENT Act"), introduced in April by a bipartisan group of Senators that includes Senate Judiciary Committee Chairman Chuck Grassley and Ranking Member Patrick Leahy. While the bills are substantially similar, there are important differences worth noting. Currently, the Federal Rules of Civil Procedure include Form 18 which enables a plaintiff in a patent infringement action to allege little more than the number of the patent being asserted, a statement that the defendant is infringing, and a demand for damages. This "bare bones" pleading standard has enabled some undesirable plaintiffs to get away with filing ambiguous complaints that leave defendants guessing about what exactly they are accused of doing wrong. Such uncertainty can put unfair pressure on defendants to settle a case rather than determine whether they are even actually infringing. It is this type of extortive behavior that many hope to reduce through legislative reform. Both bills would heighten pleading standards for patent plaintiffs. In particular, plaintiffs would be required to allege, among other things, which specific claims are infringed, which products or processes are infringing, and even include allegations as to how the products or processes infringe each claim. In addition, plaintiffs would have to disclose certain patent ownership information, including any person or entity with a financial interest in the patent. The PATENT Act goes even further, proposing a register at the United States Patent and Trademark Office where information about patent ownership and interests can be maintained as a resource for patent infringement defendants. Such transparency would prevent plaintiffs from hiding behind shell corporations, and ensure defendants know who is accusing them of wrongdoing. Finally, a recent amendment to the Innovation Act would limit a plaintiff's ability to forum shop; that is, determine where the plaintiff's case is filed. Generally, plaintiffs prefer to file their cases in courts historically friendly to plaintiffs and often thousands of miles away from a defendant's physical location, making defense of the matter more onerous and costly. Under the proposed Innovation Act provision, patent infringement suits would be limited to venues where the defendant is actually located, where manufacturing takes place, where the invention was conceived, or where other substantial activities related to the patent have occurred. Accordingly, plaintiffs would have a tougher time filing suit in historically plaintiff-friendly and distant locations like the Eastern District of Texas. The PATENT Act does not (yet) include a similar provision. One of the most controversial components of the proposed legislative reforms is fee shifting – i.e. awarding attorneys' fees to prevailing parties in certain circumstances. The Innovation Act, for example, would require courts to shift fees to the losing party unless the losing party's arguments were "reasonably justified." Additionally, if the losing party cannot pay the fees, the prevailing party may be able to seek recovery from a parent company or other "interested parties." Compare this with the PATENT Act, which would require courts to shift fees where the losing party's arguments were not "objectively reasonable." What will be considered "reasonably justified"or "objectively reasonable" is uncertain to be sure, and will undoubtedly create much litigation regardless of which language is adopted. More importantly, the PATENT Act would also allow a defendant to file a statement that , in good faith, it believes the plaintiff's primary business is the enforcement or licensing of patents - i.e. that the plaintiff is a patent troll. If the defendant files such a statement, the plaintiff will be required to either demonstrate that such is not the case, or certify that it, or another interested party, has sufficient funds to satisfy a potential award of attorneys' fees. While both bills address fee shifting, there are two significant issues with these proposals. First, the United States Supreme Court has (arguably) already provided adequate means to shift the payment of attorneys' fees onto abusive litigants. The Octane Fitness and Highmark decisions in 2014 vested courts with substantial power to impose attorneys' fees on non-prevailing parties when appropriate. Accordingly, a legislative change might be unnecessarily duplicative, or worse, swing the pendulum too far. Second, requiring plaintiffs to certify that they can pay a hypothetical future award of attorneys' fees arguably adds more uncertainty, not less, to the already complicated patent infringement litigation process. Indeed, this would be one of the only areas of United States law where such a burden is imposed on plaintiffs. The costs of patent litigation can be quite burdensome for defendants, and both bills address this issue. Each bill proposes limits on early discovery in order to give defendants an opportunity to cause the favorable termination of infringement actions before running up significant costs. This would allow defendants to engage in meaningful litigation rather than be unwillingly forced into an early settlement just to avoid prohibitively expensive and time-consuming full pretrial discovery. The Innovation Act would limit the scope of initial discovery to information necessary for claim construction. Consequently, the initial discovery period would become more manageable and defendants may be able to win a favorable claim construction ruling based on the limited discovery, thereby enabling them to be dismissed from the litigation before costly full discovery is required. The PATENT Act would similarly provide for limited discovery, but uses the preliminary motions period as the relevant milestone, rather than a claim construction hearing. Interestingly, given the discretion judges already have in managing the discovery process, such limitations can be imposed by trial courts today without a need for legislative reform. However, because delayed discovery is generally not the norm today, despite its technical availability, the proposed changes would likely help make early limited discovery more mainstream. Nonetheless, there may well be good reasons for not limiting discovery so dramatically - reasons apparent to experienced judges presiding over particular cases and less apparent to legislators inexperienced in litigation. Each bill also includes "customer stay" provisions. In general, these provisions require courts to stay, or temporarily stop, litigation against a party when there is a pending infringement action against the manufacturer or supplier of allegedly infringing products purchased by the party for its use. The Innovation Act would require a stay when the manufacturer and customer each consent to the stay. The PATENT Act is less broad, providing for a stay only for end users (rather than "middlemen" as well). Removing such customers from the pool of potential defendants has understandably resulted in pushback in some circles. One criticism, for example, is that the provisions could enable even large tech companies to obtain stays and force patent owners to sue potentially smaller component manufacturers, thereby defeating the purpose of the provisions. Note, however, that each bill includes language that would enable a judge to deny a stay if it would be manifestly unjust to impose one. One subject addressed by the PATENT Act, but absent in the Innovation Act, is prelitigation demand letter reform. Ambiguous prelitigation demand letters are sometimes sent by patent trolls to potentially force a settlement prior to even filing suit. The letters are sometimes also used in an attempt to arguably create knowledge of an alleged infringement by the defendant, and therefore serve as grounds for later alleging willful patent infringement at trial. The PATENT Act would preclude a plaintiff from relying on a prelitigation demand letter to establish willful infringement if the letter does not specify the asserted patent, the accused product, the plaintiff's ultimate parent entity, and the grounds for the alleged infringement. In addition, defendants would be entitled to additional time to respond to a Complaint if the requirements above are not met. The Innovation Act does not include any similar provision. One reason might be that several states have passed legislation aimed at preventing abusive demand letter practice, and therefore having the federal legislation remain silent on the subject avoids potential preemption of state law issues. Additionally, it is unclear whether there is really any substantive benefit from the provision that would allow a defendant extra time to respond to a Complaint given that most defendants can already request, and routinely receive, extensions of time to file answers. The inability to rely on such letters to establish willful infringement, however, would likely encourage legitimate patent holders to write adequate demand letters. The proposed bills also include provisions that would amend certain portions of the 2011 America Invents Act ("AIA") related to post grant and inter partes review proceedings. 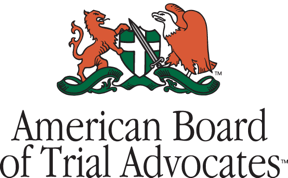 Most significantly, the Patent Trial and Appeal Board ("PTAB") would be required to cease reviewing claims under the current "broadest reasonable interpretation" standard. Instead, the PTAB would be required to use the standard applicable in federal district court actions which requires claims to be construed "in accordance with the ordinary and customary meaning of such claim as understood by one of ordinary skill in the art and the prosecution history pertaining to the patent." This change is typically seen as benefiting patent holders because the narrower standard would make it more difficult to invalidate patents during IPRs or PGRs. Indeed, many believe that too many patent claims are being invalidated in IPR and PGR proceedings, including claims that are possibly valid. Given that IPRs and PGRs test the validity of patent claims, similar to what occurs in federal district court in more formal litigation, it makes sense that these standards should be aligned. The bills also include language that would correct what is commonly perceived as a defect in the AIA. As currently written, the AIA precludes a party electing to use a PGR from later litigating an issue that could have been raised during PGR. Precluding all claims that could have been raised is frequently seen as overly burdensome on litigants, especially given the page limitations and other requirements of PGRs intended to streamline the process. Relaxing the estoppel provisions is seen by many as a good change. Finally, there is a key difference worth noting between the two bills as they relate to PTAB review. The Innovation Act includes language that would prevent the filing of PGR petitions by hedge funds trying to influence stock prices. This provision was inserted in response to recent situations where hedge fund owners are alleged to have shorted pharmaceutical stocks and then filed a PGR to attempt to lower the stock price – a practice that has understandably upset some in the pharmaceutical industry. It remains to be seen how the proposed reforms may be modified as they make their way through the legislative process. It is also possible that, as has happened in recent years, the proposed legislation will stall altogether. However, the Senate Judiciary Committee recently approved, by a 16-4 vote, an amended version of the PATENT Act, so there seems to be more support for reform this session, and more importantly, support from both sides of the aisle. Consequently, chances are good that more patent law reform, in some form, will pass this year. Octane Fitness LLC v. ICON Health & Fitness Inc., 572 U. S. ___, 134 S. Ct. 1749 (2014). Highmark Inc. v. Allcare Health Mgmt. Sys. Inc., 572 U. S. ___, 134 S. Ct. 1744 (2014).